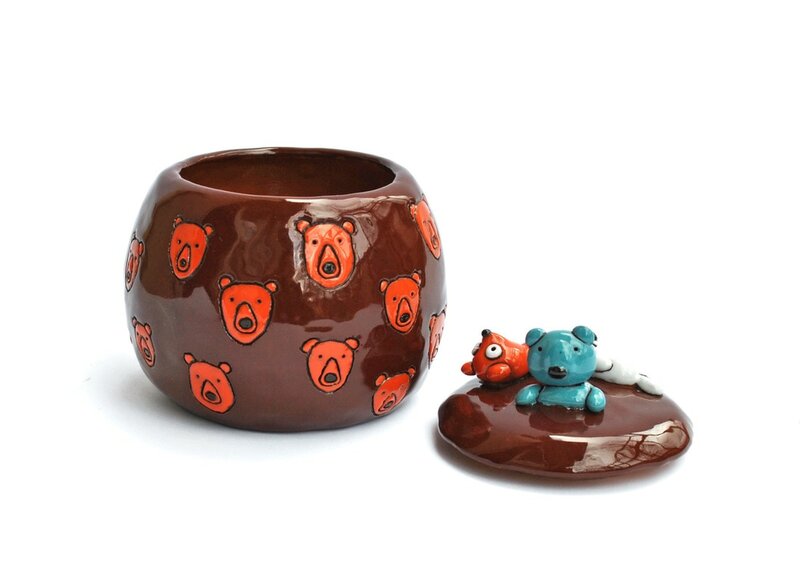 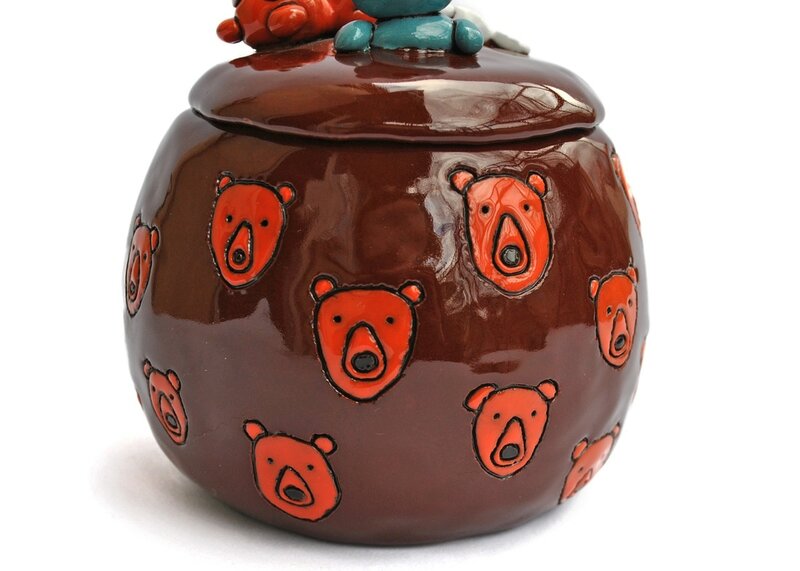 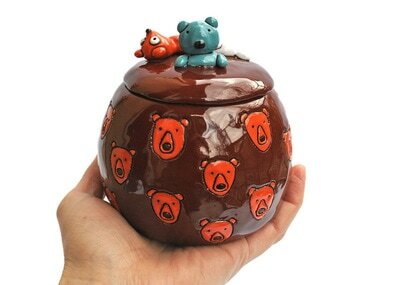 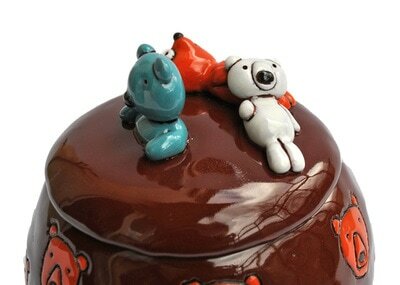 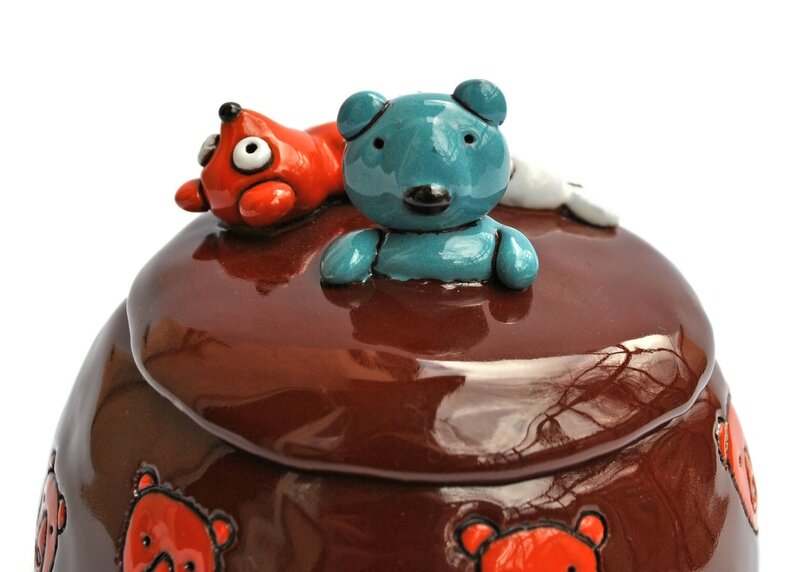 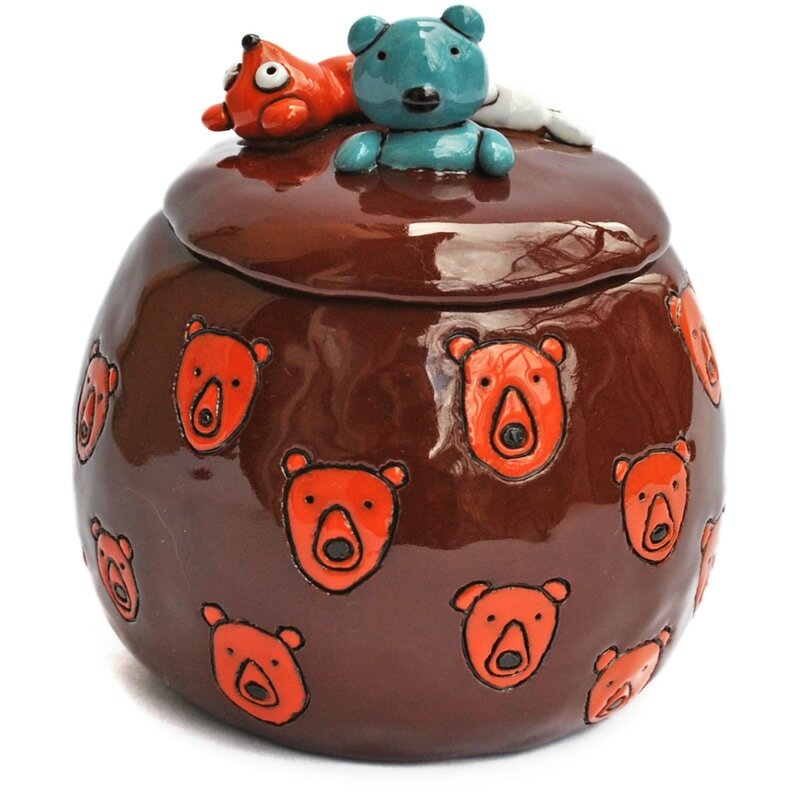 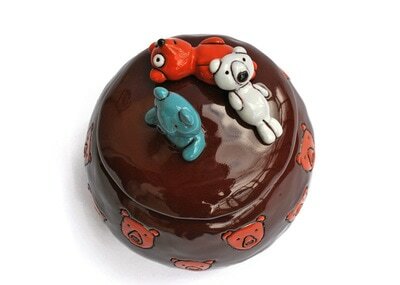 This mouth watering chocolate shade sweets bowl is richly decorated with orange teddy bears. Couple of teddy bears are poking their heads out of the lid, silently and mischievously counting each bite you take from the bowl with their beady eyes. 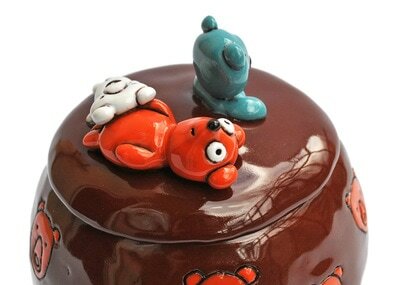 The bowl stands approximately 13 cm (5 inches) tall and 10 cm (4 in) wide.